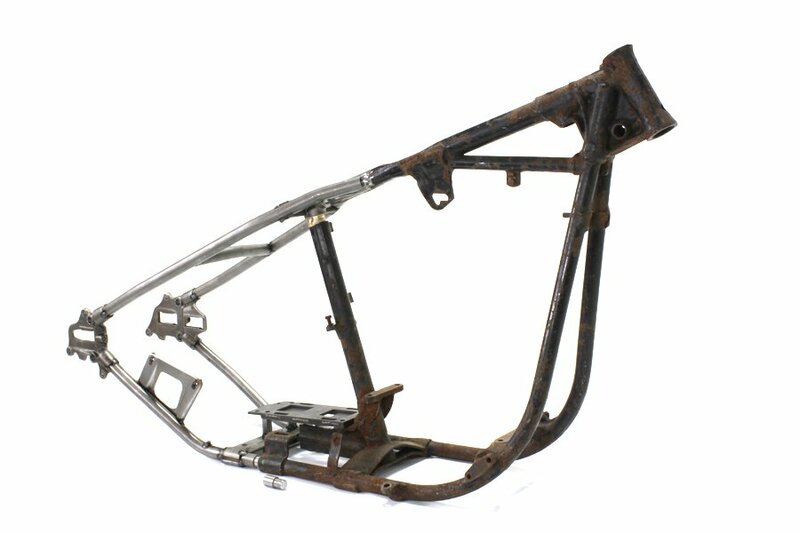 We just added these Hardtail rear frame section for 4 speed frames in the shop. This hardtail includes rear transmission mount, 5 posts, tool box bracket, fender cross brace, seat post top yoke, and 2 dowel pins to connect lower frame tubes. Top seat post forging is included but not welded in place, fabricator or installer must add tubing and seat post bushing. Fits: FL 1958-1984, FX 1971-1984 and it SHIPS for FREE! ORDER YOURS TODAY!